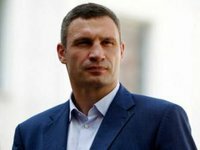 Kyiv Mayor Vitali Klitschko will take part in the 31st Congress of the Christian Democratic Union in Germany, the press service of the mayor of the Ukrainian capital has said. "The mayor of Kyiv Vitali Klitschko will attend the 31st Christian Democratic Union (CDU) congress to be held on 7-8 December in Hamburg, Germany," the press service said on Thursday. This year's Congress is of crucial importance for both the future of the party and the Federal Republic of Germany. The CDU which is one of the most successful political parties in Europe, will be holding a vote to elect a new leader. Angela Merkel, who has chaired the CDU for 18 years, steps down as the CDU chairwoman and, according to her earlier announcement, will not seek re-election as Germany's chancellor in 2021. There are twelve candidates for the CDU leadership but the most likely winners are three of them. "Founded in 1945, the Christian Democratic Union is Germany's largest and dominant political party. The CDU is a member of the European People's Party and partner of UDAR of Vitali Klitschko political party," the message reads.